Among the very finest copies in the world, boasting fresh surfaces, stunning color, and four square corners. Easily among the most desired productions from all of the 1930s. 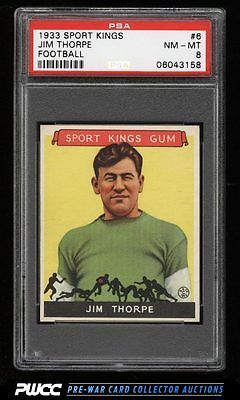 Part of a tremendous run of mid to high grade Sport Kings on the auction block this month. One of nearly 17,000 cards, lots, and sets up for bid in our 8th Auction of 2016. Click on the link above to view the other PWCC auction lots.